Meanwhile, as many as 79 fresh cases of Swine flu were detected in Rajasthan on Monday, stated a data issued by the state’s Health Department. Jaipur: One person died while 90 others were tested positive to swine flu on Tuesday, stated news agency ANI. The death toll due to swine flu was recorded at 113 and over 3110 positive swine flu cases have been reported from across the state between January 1 to February 12, this year. Meanwhile, as many as 79 fresh cases of Swine flu were detected in Rajasthan on Monday, stated a data issued by the state’s Health Department. On Monday, thirty-six cases of swine flu were detected positive in Jaipur, nine in Barmer, four in Jhunjhunu, three each in Dausa, Bikaner, Ganganagar and Udaipur, two each in Sikar, Jodhpur, Jaisalmer, Kota, Nagaur, Ajmer and Rajsamand, and one each in Bhilwara, Baran, Bharatpur and Alwar. According to the data released by Union Health Ministry on Monday, over 9,000 persons have so far been affected by the H1N1 virus, with Rajasthan still topping the list with the highest number of cases and deaths. With the number of swine flu cases on the rise, the Health Ministry has advised state governments to enhance public awareness and keep beds reserved in hospitals with ventilator facility to deal with acute cases. Seasonal Influenza (H1N1) is a self-limiting viral, air-borne disease. It gets transmitted easily from person-to-person, through droplets generated from coughing, sneezing and close contact including handshaking, hugging, kissing. The virus also spreads through indirect means when a person touches a contaminated object or surface like telephone, cell phones, computers, door handles, doorbells, pens, toys etc, stated the health advisory. World Health Organisation has recommended Oseltamivir medicine for swine flu treatment. Therefore the Drug Controller General of India has been asked to coordinate with drug manufacturers to coordinate with drug manufacturers to monitor the availability of the medicine. 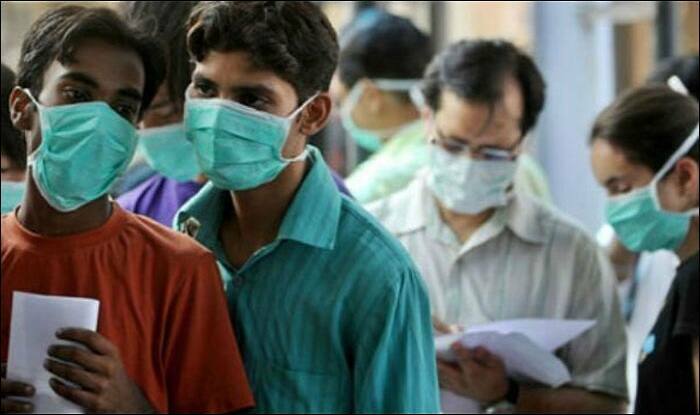 Meanwhile, the total number of swine flu cases recorded in Delhi this year stood at 1,093, as per a report by the Directorate General of Health Services. Out of the total 1093 cases, 868 were adults and 225 children, the report said.